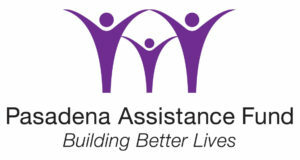 The Pasadena Assistance Fund seeks to help Pasadena residents “Build Better Lives” through grants to local human services agencies serving Pasadena. Distributions from the fund supplement the community development block grants (CDBG). Federal funding for these grants has declined in recent years, so it is even more important to build a hometown source of funding. Through a partnership with the City, the Fund is held and invested by the Pasadena Community Foundation (PCF). PCF’s investment strategy employs a diversified global portfolio of equities, bonds, and other investment vehicles that the City cannot use in the investment of public funds. Says Jennifer DeVoll, Executive Director of the Pasadena Community Foundation, “This is right in our sweet spot. We build hometown legacies – permanent funds to support the critical services offered by non-profit organizations within our community. We are thrilled to be working with the City to help them grow the fund through prudent investment and heightened visibility.” Since its inception in 1992, the City’s Human Services and Recreation Department, and now the Housing Department, has been responsible for the programmatic management of the Pasadena Assistance Fund (formerly the Human Services Endowment Fund) which has distributed more than $2,787,696 in grants to Pasadena area non-profits.